Custom Push-Pull Controls – Tyler Madison, Inc.
Industries such as aerospace, automation, oil and gas, marine, electrical, and manufacturing commonly employ these flexible, bendable wires. To accommodate commercial and industrial applications the wires are made of high strength metal that is twisted and braided around a core to create stranded wire. Control cables are essential to the success of many operations and the safety of those operations as common uses include remote-access latch release cables and safety break cables. To ensure the safety of workers and equipment, it is important to consider the specific qualities of a given control cable system. The diameter, length, thickness, maximum load, and working life of a cable should be compatible with its intended use. Though referred to simply as cables, control devices are often comprised of an entire wire rope assembly complete with metal or rubber housings. 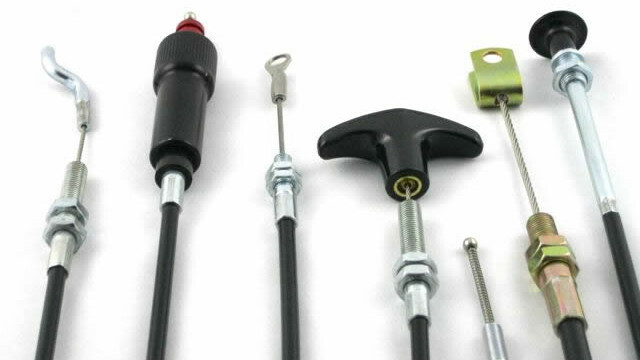 These include wire fittings and terminals such as eyes, forks, studs, handles, pins, and other mounting apparatus with which components are connected. Fittings may be on one or both ends and are often hardwired into the cables for added security, though some instrumentation control cables come with change tool kits for added versatility. Push-Pull Diagram – Tyler Madison, Inc. In addition to the aforementioned specifications, the specific type of control cable in use should be considered. 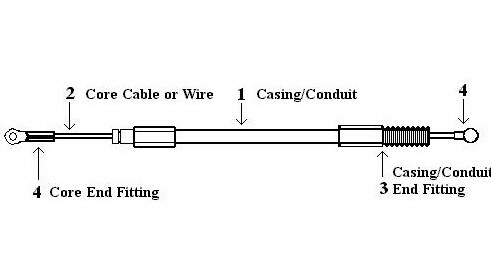 Pull-pull and push-pull cables are the most popular choices in the precision transmission of mechanical motion. Compression in push-pull cables creates motion in one direction while tension pulls it in the opposing direction. This type of control cable is used in hydraulic, pneumatic, and electrical control systems. With pull-pull cables, tension applies motion in one direction only. Spring actuation is responsible for returning the cable to its starting point. Pull-pull controls are employed when transmission forces require tension. Either type of control cable must be strong, durable, and able to bend multiple times in many different directions without breaking. As with all wire rope products, control cables consist of individual wire filaments which are twisted or braided into strands before being wrapped around a core. Each element of a control cable is crucial to its success. Together the conduit and core selection, the number of bends in the system, and the relative friction between the core and conduit determine the efficiency of control. The housing is also important and may be treated with flame retardant, oil resistance, or other such methods to better function in a particular workplace. Control Cables Control cables are specialized wire ropes designed for the positive and precise transmission of mechanical motion. Incorporated into equipment and machinery, these cables are responsible for connecting moving parts and controlling the interaction of those parts.